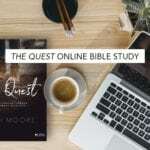 The Quest Online Bible Study | Sign Up! This online Bible study started July 31, so click here to catch up on all of the sessions that have posted so far! With summer officially underway, we hope you are enjoying vacations with family and friends and are feeling refreshed as you study God’s Word. 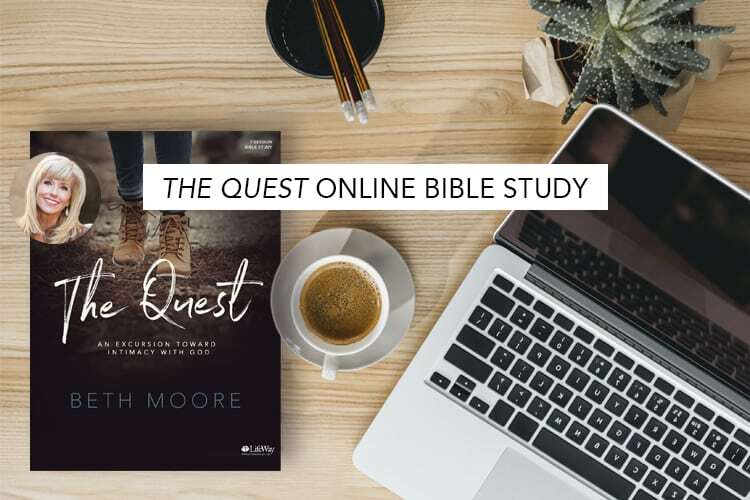 One of our favorite ways to study the Word together during the summer is through online Bible studies, and we are excited to announce our second online Bible study of the summer—The Quest, starting July 31—for women and teen girls! As we study The Quest with Beth Moore, we’ll go on a journey towards intimacy with God, exploring the many questions life throws our way. This study is a little different from Beth’s other studies, so you can read more about that here to better know what to expect! Our hope is that we’ll have the courage to explore some hard questions together and dive into the adventurous life God has for us. To learn more about this study, watch the video below or click here. So join us for this 6-week study! Study with us on your own, with a group, or with another friend. All you need is a study journal! Have a teen wanting to study with you? Order the teen study journal here or pick one up from your local LifeWay Store. We’ll post a new video session here on the blog each week on Tuesday at 5 a.m. CT (barring any technical difficulties). For the first week, you’ll watch the video on July 31 first and then complete the Week 1 material in the study book before we meet again! Join in the discussion on the weekly posts. Find the links to all of the sessions here. Our hope for the online Bible studies is not that they’ll replace community in real life. 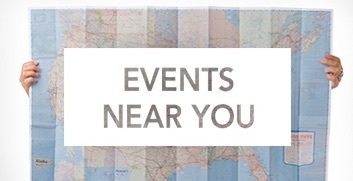 In fact, we are offering The Quest in all LifeWay stores as well on Tuesdays at 11:30 a.m. & 6:30 p.m.! (Check with your local store for more details.) Grab a friend or two or ten and do this study together, whether you join us in person or use the online videos at home. If you’re studying solo, that’s great too! We are so glad you’re here and hope you find friends and fellowship as we learn together. Have more questions? 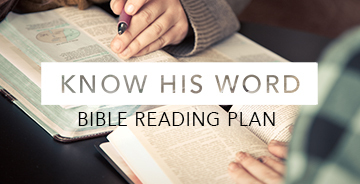 Check out our Online Bible Study FAQs. *A note about the videos: For The Quest, we will be offering the entire Bible study videos online for free for a limited time. Videos will remain up until September 30, 2018, allowing some breathing room for those who join in late or miss a couple of weeks. After that time you can rent or purchase the video sessions here. Hi, I’ve just signed up for the Quest bible study. I haven’t gotten my welcome email yet. Can you tell me how long it might take to get it? Also, will I automatically get an email when each video posts or do we have to remember to check here for them every week? Hi Aixa! It looks like you should have received the welcome email on July 14 around 4 PM CST. Let us know if you didn’t receive it, and we’ll try resending it. (We’d recommend checking your spam and promotions folders as well just in case.) 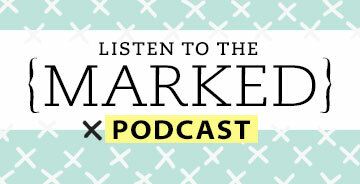 You should receive an email reminder when each video session has been posted here on our blog. (You can expect the first session to post on July 31.) Feel free to let us know if you have any other questions! Just the word “Quest” sounds so desiring to follow God! I love Beth’s teaching and I can’t wait to get started. I need this as I feel so alone and without purpose. I NEED Jesus to speak healing to my heart. Sounds like a rough time for you right now, Cindy. I’m so sorry to hear that. You are not alone. God has gotten me through many, many rough moments. He can get you through also. Hang in there and keep listening for His words. You will be in my prayers. I have signed up but haven’t received an email to confirm. Hi Pat! It looks like you should have received the welcome email on July 13 around 8:10 PM CST. Let us know if you did not receive it, and we’ll try resending it. We’d recommend checking your spam folder as well just in case! I receivedan email that said confirm subscription. When I clicked on it, it brought me back to here. Hi Fran! It looks like you should have received the welcome email on July 13 around 6:40 PM CST, but let us know if you did not receive it. We’d recommend checking your spam and promotions folders as well just in case! I love online bible studies. Looking forward to beginning this one. Currently in a Bible study that will end the first of August. So I can just keep on keeping on. So excited. Would love to win the study book!! Hi Cora! We are actually doing a giveaway of The Quest study journal on the blog today! Click here for more info. So excited to join in. I think I subscribed last night however I have not received a welcome email (I checked spam folder). Hi Cheryl! I resent the welcome email around 11:30 AM. Let me know if you did not receive it, but if you did you should be set! I just saw this advertise on Facebook as a free online study, but I noticed in the link it looks like you still have to buy the book? Is that correct or am I missing something? Hi Miranda! So sorry for the confusion. We will be offering all of the video teachings for The Quest for free for a limited time. The only cost to you would be the Bible study journal in order to best follow along with the videos and discussion on our blog. I hope this helps clarify! Also, we are doing a giveaway of The Quest study journal today on the blog, so be sure to check that out here! I am so excited about this! I purchased the study guide when it first came out and asked the Lord to provide a free on-line Bible study for it. Today’s email has me doing a happy dance! I’m so excited and appreciative for this opportunity!! Looking forward to this Quest and where it leads!! It doesn’t look like my email was processed when I pressed the sign up button. How will I know? Hi Becky! It looks like you should have received the welcome email on July 12 around 6:30 PM. Let us know if you didn’t receive it, and we’ll trying resending it. We’re excited to have you joining us! I put my email in above and pressed the “sign up” button but it doesn’t look like it did anything. How do I know if it took? Hi Becky! You should have received a welcome email around 6:30 PM. If so, you should be good to go! Let us know if you did not receive the email, and we’ll get that resolved for you. We’d recommend checking your spam and promotions folders just in case. Hi Sonja! Unfortunately, we don’t currently have an app for this. You’ll be watching the videos themselves on LifeWayWomen.com however, so you can feel free to watch on whatever device you’d like that has an internet connection. 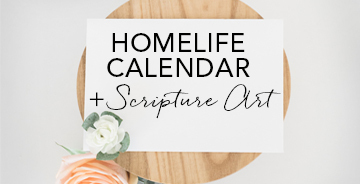 The emails will just serve as reminders that the newest session has been posted on LifeWayWomen.com. I hope this helps clarify! It looks like each video will be posted at 5 AM central time on Tuesdays beginning July 31. Can we watch them only at 11 AM and 6:30 PM? Is that central time? Do we watch it on this blog site? Hi Karen! Yes, we will post the first video on LifeWayWomen.com (this blog) on July 31 around 5 AM CST, but you can feel free to watch it at whatever time is most convenient for you. LifeWay stores will also host The Quest Bible study at 11:30 AM and 6:30 PM (local time zone) if you’d like to join others in person! You can click here to check with your local store for more details. Hi, friends… Signed up for this but never got the videos????? Don’t know if I messed up with the email address or just what, but I’ve been watching for these and haven’t gotten them…. I think the first video will be posted on July 30th. We will actually be posting the first video on July 31. No worries. They will send them each week when the bible study starts on July 31st. I am excited to watch the videos too. Hi Bitsy! I do see that you are signed up, and I just resent the welcome email. Let me know if you did not receive it! We will be posting the videos one week at a time starting on July 31. 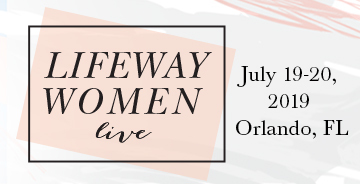 You should get an email reminder that the first session is live on July 31, but you can also come back to LifeWayWomen.com on that day to view the first video. I hope this helps clarify! I’m excited, I have my journal! I’ve been doing it on my own ,with a CD. I am looking forward to this study so much I love Beth Moore. I do have a question, will there be an online bible study this Fall? Is there a study picked out yet if so? Also, when does it typically start? Hi Marissa! Yes, we will have an online Bible study this fall, but we’re still nailing down exact dates and details. 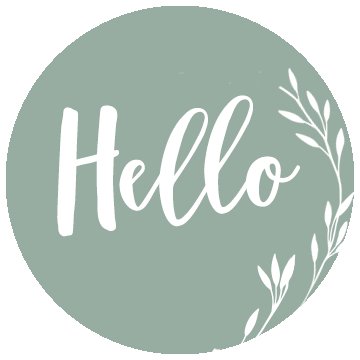 I’d recommend subscribing to our newsletter here or following us on social media to be the first to know what we’ll be doing! II will be hosting a group with this Bible study I am preparing now to set a date sometime in October for a fall Bible study with some girlfriends and Neighbors… I’m looking forward to taking this online myself to better prepare me for hostessing a group I’m very excited about all the things that God is going to do in our lives through the study. I cannot wait to get started on this Beth Moore Bible study because I have always enjoyed her previous Bible Studies and reading a few of her books. I cant wait to get started.Already have the book. I love Beth Moore bible studies. Can’t wait. I got my book today. Love all these on-line studies. Keep em coming. I can’t wait for this Bible Study to start. I have wanted to take this study since before it even came out and I was made aware of a new study by Beth Moore . 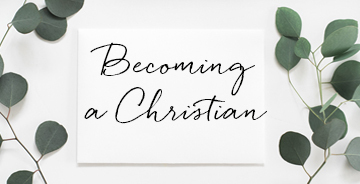 There were many local churches around my area that were hosting it but with my work schedule and busy family life ( a mother to 3 boys under 5), I never found the time to attend. Then I see you are hosting an online Bible Study with this study and I knew that was God calling my name and telling me that my chance was in fact here to finally be able to take this study! Gods timing is EVERYTHING!! I have really enjoyed all of the OBS’s available here along with the discussion questions and being able to answer them as well as seeing what others are thinking. I have gone back to some of the past ones (the join anytime and the archive ones) as well to do the same thing and I will continue until I go through all of them that you have listed on here so I can stay deep in the Word always! Mary Ann, we are so thankful for loyal participants like you!! What a blessing to hear that these studies are meaningful to you. It’s why we do what we do! I am very excited about doing this study. Please clarify what book is needed and the price. Thank you. I noticed that Amazon sells the book for $29.00, then you advertise the Quest Journal for $14.00. Are they two different books? If they are do I need both for this study? Hi Linda! So glad you are joining us. 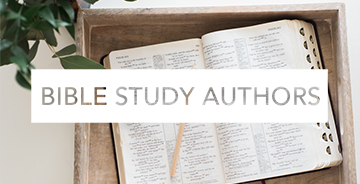 You only need one book for the study—The Quest Study Journal. There is a women’s version and a teen girls version. (Click either of those links to go directly to the version you need.) Many times Amazon charges more for the same study because we do not offer them a discount. Our price is always $14.99. Let me know if you have any other questions! Why did Lifeway choose to overlap this study with the current online study being offered of Jen Wilken’s God of Creation? Will Jen’s videos be done before Beth’s begin? Hi Tricia! That is a great question. There will be a few weeks of overlap of the two studies. We spaced them out as much as possible, but with God of Creation being 10 weeks, it is difficult to run them totally separately. 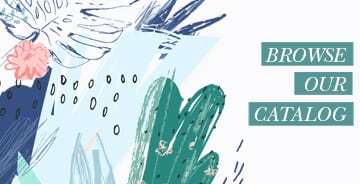 In the summer we like to offer two options for online Bible study since a lot of people are looking for an alternative option in this season. Sometimes we run two at the exact same time; other times, we stager them like this time. We are offering them in store on different days (Tuesdays and Thursdays) to help with the overlap. I hope you can participate in one or both! Please let me know if you have any other questions. I just realized the study is for women and teen girls! I was looking into buying the boys books and doing it with my sons. Will the videos for boys be available too?? Kim, the kids’ Bible studies don’t have a video component. They could do the kids’ workbook without the videos as you work through the adult journal. There’s certainly nothing in the videos that would be inappropriate for your sons, but depending on their ages, they may not get much out of them. You are welcome to have them watch them—the first video is longer, but then the others are much shorter, just so you know. Let us know how it goes! I’m so incredibly excited about this! Already ordered my book & I sure was hoping the study would become available online!!! Looking forward to this study. Moved to League City, TX a year and a half ago and have not been able to find a church that offers Wednesday night women Bible studies. I hope the Lifeway by my house will be holding the study at their store so that I don’t have to do this by myself at my house. Melissa, we’re hoping that most stores will host! You can call and check to make sure. I am excited to start this study. Have the study book already. Never finished the study and looking forward to it. I’m excited – got the book awhile ago and never started it! I am excited about this! Is there a workbook for boys so my sons can join in? Hi Kim! We are so excited you are joining us! There are activity books for 1-6 grade kids. Unfortunately we don’t have a version for teen guys. Click here to see all products. Hi Kellie! We will check on this for you. If there’s a problem, someone will contact you. Thanks! Thank You for your response! I am having a ditzy moment!! I realized after I posted this that after I hit submit there was a message that said Thank You, you are registered for this Bible study!!! No worries at all! So glad you are joining us. Have had 2 Spiritually mature friends do this study and they are overwhelmed with how God spoke, looking forward to the Quest with HIM!! I am SOOO excited about this. I have the workbook and so does my daughter. I’ve just been back and forth since Christmas praying about buying the videos. God is SOO good. I really learn so much from Beth Moore. She really just gets you digging into the Word. Not only does she explain it so well, but it just grows the hunger in you to dig deeper for yourself and really listen for God. Thanks so much for doing this one!!! Hi Marissa! I just resent the welcome email, but let me know if you did not receive it. I’d recommend checking your spam and promotions folders too just in case! Thank you so much I did receive it.